In his recent article on this site, An Honest Man wrote a thought provoking piece re the failings of Ally MacLeod as Scotland manager and making a case that Ally should not be inducted into the hall of fame. McLeod – The Case For The Prosecution? Let me make so bold as to state a case of why he should be. To appreciate Ally Macleod’s record as a manager you have to look beyond his period as the Scottish national manager and examine his record at Ayr United and Aberdeen. In 1966 he started his managerial career with Ayr. 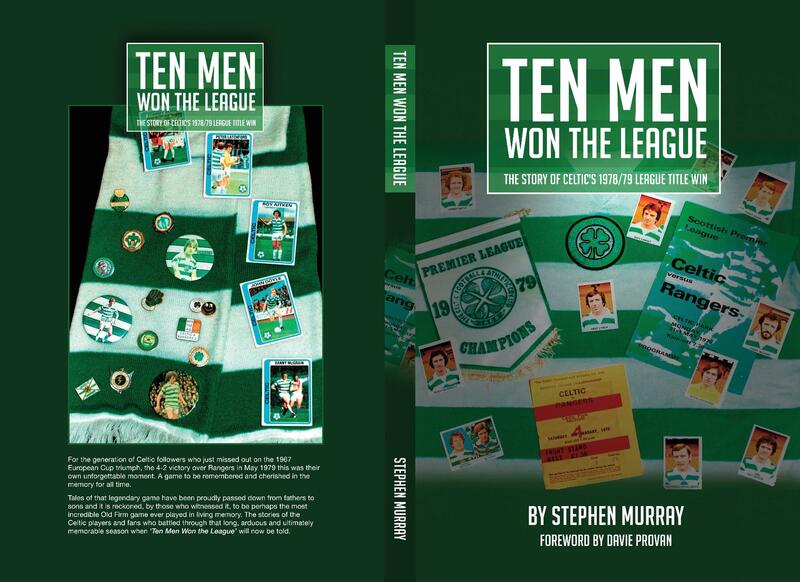 In the next nine years he gained promotion to the top league and took team to the League Cup semi finals in 1969 (where they lost narrowly after a replay to Jock Stein’s all conquering Celtic) and the 1973 Scottish Cup semi final, where Rangers defeated Ayr after another close game. He had made a reputation for himself by building an entertaining team at Somerset Park and it was no surprise when Aberdeen lured him to Pittodrie in late 1975. The Dons were in need of some salvation as they were in relegation trouble in the new Premier League’s first season of top ten club football and with Ally’s help Aberdeen only survived on goal difference. They were that close to relegation and if MacLeod hadn’t rescued them then the Alex Ferguson era and all that European glory that followed would never have happened. 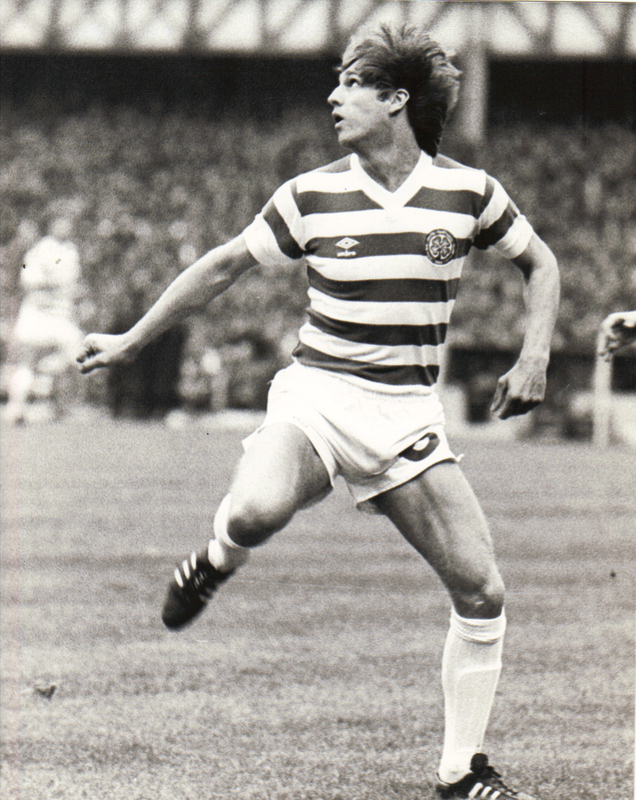 In 1976/77 Ally made several great signings (Stuart Kennedy, Dom Sullivan and the return of the prodigal son, Joe Harper) and in his first full season he won the League Cup against Celtic at Hampden and were top of the league at new year before faltering in the spring. In April 1977 the Scotland manager, Willie Ormond, dropped the bomb shell that he was walking out on the SFA to take the Hearts job, purely for the lucrative contract that he would receive at Tynecastle. This was seen as footballing treason and after Jock Stein declined the SFA’s offer they turned to Ally MacLeod. MacLeod took over the Scotland post at a time when they had an embarrassment of riches to choose from. Although he took over a fairly settled squad it should be noted that Scotland’s qualification for the 1978 World Cup finals was hanging in the balance. In a three team group, the Scots had lost to Czechoslovakia in Prague and relied on an own goal to beat Wales at Hampden. The 1977 home internationals came and Scotland won it with a memorable win at Wembley in 1977. An Honest Man states that the English were in disarray at that time which was certainly the case. 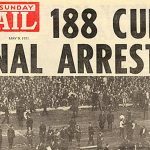 However, the 5-1 Wembley thrashing of two years previously was still fresh in the mind and an England team which contained Clemence, Watson, Hughes, Francis and Channon could never be considered easy opposition. 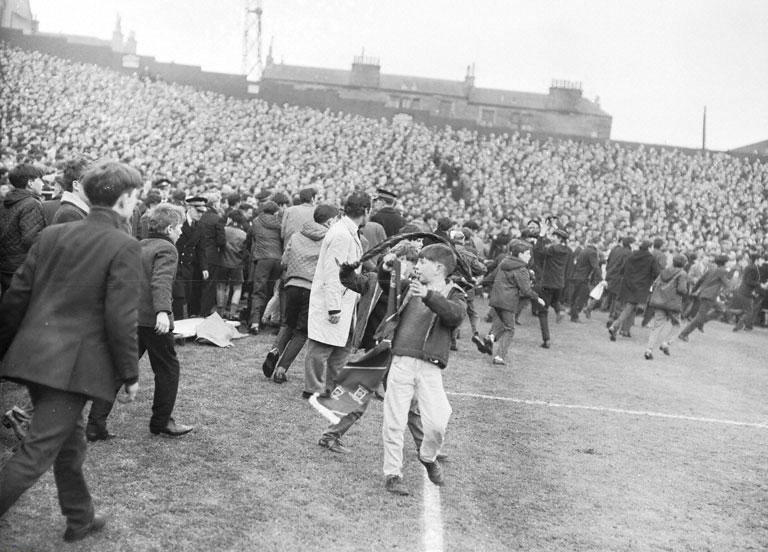 Scotland’s 2-1 win did not fully reflect their superiority on the day and the pitch invasion that followed went on to overshadow a fine performance. A few weeks later Scotland embarked on a bold South American tour. This was seen as ideal preparation should the team qualify for the World Cup finals in Argentina a year later. In their three games they beat Chile 4-2 in Santiago, drew 1-1 with Argentina in Buenos Aires and lost 2-0 to Brazil in the Maracana. The Argentina game was galling as only a debatable penalty for the home side had denied Ally’s side of a notable victory. Also, in Brazil, Scotland had an injury crisis which meant Archie Gemmill being played up front and yet Scotland had lost only to two late goals, and this was in late June after a long, demanding British season for the players. Scotland had made a great impression on that tour and they carried the momentum forward into 1977/78 when they faced the Czechs in a must win qualifying game at a packed Hampden. Czechoslovakia were reigning European Champions and were desperate to qualify but were played off the park as Scotland romped to a 3-1 win. Qualification now hinged on the final game against Wales. This was a home fixture for the Welsh and, in a grave error, they moved the game to Anfield to take advantage of a bigger capacity. That rebounded on them as an estimated 35,000 Scots were in the ground that night in the 50,000 crowd. It does have to be said that a most debatable penalty award sent Scotland on their way to a 2-0 win but qualification had been achieved never the less. After taking over when qualification was in the balance, Ally MacLeod had guided his players and the country to the promised land. Argentina here we come. This is when fate plays a vital part in MacLeod’s career. 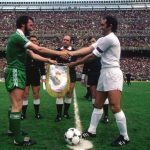 Danny McGrain had been a sensation in the home international matches and the South American tour. He was arguably the finest full back in world football when he was injured playing for Celtic and after a long absence he was declared unfit for the finals. As if that wasn’t bad enough, influential centre half, Gordon McQueen, injured a knee against Northern Ireland at Hampden, which meant he would miss the group stages in Argentina. An Honest Man criticises MacLeod for taking an injured McQueen to the tournament as he could only have played in the latter stages. But this made good sense at the time. McQueen was reckoned to be Europe’s finest centre half and had just broke the British transfer record by moving from Leeds United to Manchester United for £500,000. McQueen was irreplaceable (as we would see) and would have been a first choice had Scotland qualified from their group. Despite missing 50% of his established back four, it all started so well against Peru. Joe Jordan gave the Scots the lead only for the Peruvians to equalise. Scotland then earned a penalty and fate kicked in again. Don Masson missed it and Peru went on to win 3-1. Had that penalty gone in who knows how history may have changed for Scottish football ? A horrendous draw against Iran was followed by a terrific 3-2 win against Holland but Scotland were out. And after that recriminations began. The pre World Cup departure from Hampden Park was criticised but that was not Ally MacLeod’s fault. The conditions of the team hotel in Alta Gracia were criticised but this was not Ally MacLeod’s fault either. Both of these matters were the fault of the faceless blazers at the SFA but MacLeod was left carrying the can for both. If fault can be levelled at Ally then it is the squad selection and team selection. An Honest Man makes a case for the selection of Alan Hansen but it should be noted that he wasn’t a Liverpool regular in his first season and only played in the 1978 European Cup final as Joey Jones was only fit enough to be on the bench. An Honest Man also states that Ally chose not to play Willie Donachie in the opening game against Peru when he was, in fact, suspended. A case was also made for Andy Gray but it’s worth bearing in mind that Gray was notoriously injury prone and in any case was too similar in style to Joe Jordan and Derek Johnstone which is why Joe Harper was picked instead. 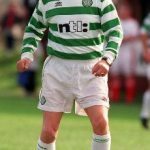 On the debit side Ally was seen as too loyal to players such as Don Masson, Bruce Rioch and Willie Johnston who were regarded afterwards as being past their peak. However, these guys played a huge part in the qualification process and were entitled to their places. No one complained when the squad was picked before hand. With hindsight MacLeod should have went to watch Peru play before the finals but felt it unnecessary as they were seen as similar in style to Chile who Scotland had emphatically beaten twelve months previously. They hype which grew before the Argentina finals as also used as a stick to beat Ally. In fairness he didn’t cool the flames but in the 1990’s Graham Speirs, in a serial, exposed some of the journalists who went totally overboard back in 1978. They would never admit it afterwards but Alex Cameron, Gerry McNee, Jimmy Sanderson and Ian Archer were the big hitters of the day who told their public that Scotland would win/ reach semis/quarter finals at least (delete as applicable). These characters were the real culprits for whipping the nation into hysteria, not Ally Macleod. The players also had a degree of responsibility for what went on in Argentina. From Willie Johnston taking banned substances, to players breaking curfews by climbing walls in order to go drinking. Then there was Lou Macari asking to come home 48 hours early for a for a domestic problem when in reality he had set up an exclusive with the Daily Express for a huge payment to spill the beans. And then there were the Anglos who insisted on departing at Manchester airport on the way home, rather than travel to Glasgow to face the baying Scottish press. Heroes, one and all and accountable to no one. The purpose of this debate is, should Ally MacLeod be inducted into the Scottish hall of fame ? The answer is an emphatic yes. He saved the World Cup campaign, won at Wembley and achieved terrific results on that 1977 South American tour. If only the World Cup finals had been that summer. It should also be remembered that he played an exciting brand of football. Compare that to the sterile performances of such Scotland managers as Craig Brown, George Burley, Craig Levein and Gordon Strachan. I won’t recall the gaunt expressions of Ally MacLeod in Argentina ’78. 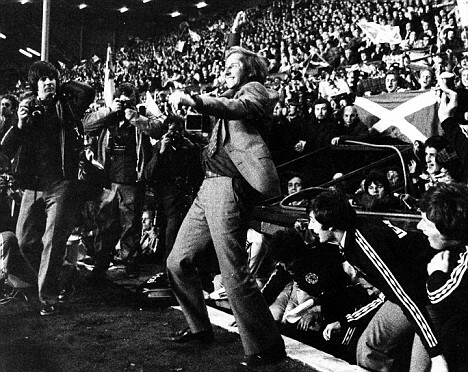 I prefer to remember the happy, exuberant Ally MacLeod who was successful in management for club and country. Get him in that hall of fame. Pronto. NextFear Of Losing Paralyses Performance? Do you accept that we had probably our best ever side in a group that wasn’t easy but wasn’t the most difficult ? A professional competent international manager would have seen us qualify into the last 8 – but thats just it – Ally wasn’t. Ally had two games to get us to qualify for the World Cup. A home game against Czechoslovakia and it as it turned out an all but home game against Wales. The performance against the Czechs was top drawer, the result against Wales was sheer fortune. With regards to the players he took to Argentina, I stand corrected on Donnachie’s suspension. But as I pointed out in the article, MacLeod could have taken alternatives to South America – instead he chose to play a right footed centre half at left back against Peru. I simply cannot fathom your defence of McQueen’s selection. A defender that at best “might” have been fit for the latter stages is taken to a WC tournament is arrogance in the supreme by the manager – especially when they were decent alternatives. As for Harper – its loyalty to a player that was never international class. Andy Gray was on form prior to the tournament and should have been picked. I know who I would rather have had up front. If you needed a different kind of striker – as mentioned – there was an on form Iain Wallace, who along with Derek Johnstone were the only strikers to have scored for Scotland in the run up to Argentina. As for taking Rioch and Masson, you pick players that can’t get a game for their club and suddenly expect them to perform on the biggest stage of all ? A good manager would have not talked up our chances the way MacLeod did. To blame the likes of McNee, Sanderson and Archer for the hype with all due respect is an arguement with more holes than a Swiss cheese – or our defence against Peru. Look at how the media outside Scotland remember our adventures in Argentina. Macleod’s arrogance has become the stuff of legend South of Carlisle, on the continent and even in South America. They don’t quote Alex Cameron or Ken Gallaher – Ally himself gave them all the ammunition. Ally revelled in the build up to the World Cup like a kid in a sweet shop. I’ve listed various quotes – he said that he expected Scotland would finish no worst than third. If a manager says it in the emphatic way that MacLeod did, it can hardly be the media’s fault for talking up our chances ? The Hall of Fame should be for a positive outstanding achievement. Ally will be remembered for the debacle in Argentina. And to try and absolve him of blame is I’m afraid sheer revisionism. IT is just me or is James Forrest getting better? 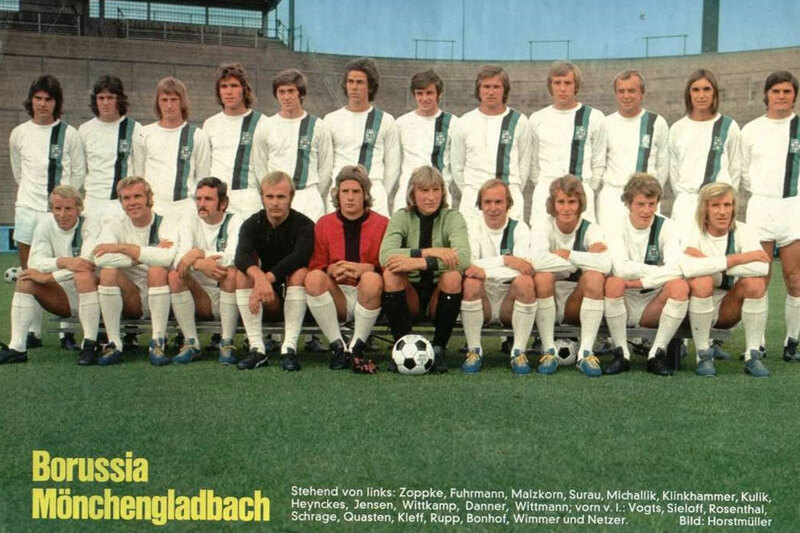 THE Celtic team of the 1971/72 season was, I have to say with all modesty, a fairly good one. JIMMY Greaves was right. Football really is an amusingly, unpredictable and ageing sport.